It is confirmed by several fansites that ZARD won't appear in this year's Red & White Song Contest (Kouhaku Utagassen). And according to this article from GrooveAsia, ZARD isn't the only one that will be missed. "No-Kouhaku policy"? Hmm, maybe it's true. That's bad news I guess, but I have some good news too. Tomorrow is a special day for ZARD the BEST, because it will then be exactly one year ago I started this site. To celebrate this special day, I will have some cool stuff in tomorrow's update, don't miss it. This site's major (and only) lyrics translations contributor Ryuichi has made a special update on his page, just because of the mid-month release of Promised You (he usually updates at the beginning of a month). The translated songs are of course Promised You and The only truth I know is you. Go to his page or go to the feature page for the translations. At Tisper's ZARD HP you can download the Promised You PV clip, the same one as reported on 13 Nov, but this time it is in mpeg format. The quality of the clip is excellent and that's also true for Izumi Sakai's performance in the clip. For the reviewers among us, you can submit your review for the single Promised You here. Well, the single is out now and my feature page for it is also up. There isn't much stuff yet, but you can listen to the sample songs and download the CM. If you guys go out and buy that single, I promise I will collect more stuff for the feature page. Oh yeah, almost forgot, Promised You ranked third, first day in the Oricon Chart. The new album that was rumoured to be released on 13 December has been postponed till year 2001 (no exact date yet). This bad news comes from the same sites that reported of a possible release of a new album, some weeks ago. The new maxi single Promised You will be released this Wednesday, but this site already has a nice clip of Promised You recorded from Mega Hits top 30. Thanks goes to ZARD2000 mailing list for pointing this out. Zard's official website has put up a short sample for Promised You of about 30 seconds. With a real backgound choir it does sound slightly different from the TV version. Click here to listen to the sample (real audio). 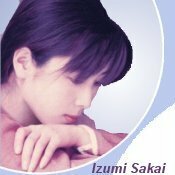 When visiting Zard's official website you will also see the front cover for the Promised You poetry selection. The picture shown there is a little bit small and as usual I found a bigger picture at J-Rock Magazine. Click on the cover to enlarge. Scanned the photos of the year 2000 Calendar, included only in the first pressings of the Request Memorial album. The scans are of high resolution, so the file sizes are quite big. Go here to see the photos. Finally made another wallpaper, it's the first one in a series of two. The theme is inspired by the two BEST albums. Check it out here.